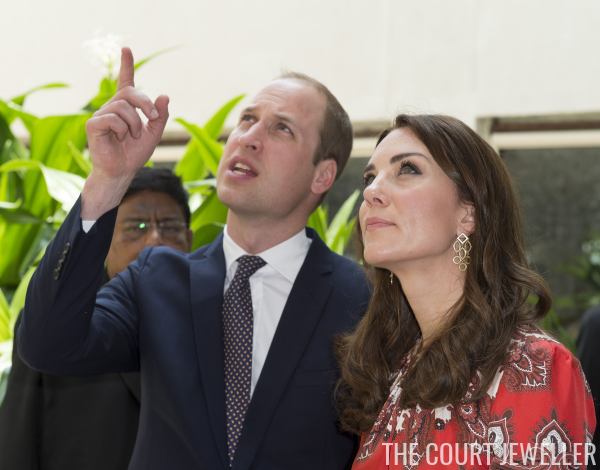 Here we go, everybody: the Duke and Duchess of Cambridge have begun their tour of India and Bhutan! 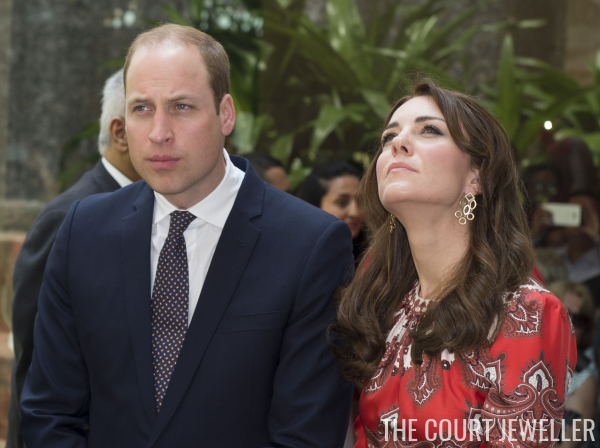 For their first engagement -- a wreath-laying at the Taj Palace Hotel -- Kate brought out a familiar bit of jewelry. Kate chose to wear the same earrings she donned for last week's pre-tour reception: the "Temple of Heaven" girandole earrings by Cassandra Goad. This time around, her hairstyle allowed for a better view of the earrings. Photographers were even able to snap close-ups of the golden girandoles.